Club Penguin Cheats by Mimo777 Club Penguin Cheats by Mimo777: Reviewed by You: Back to School! 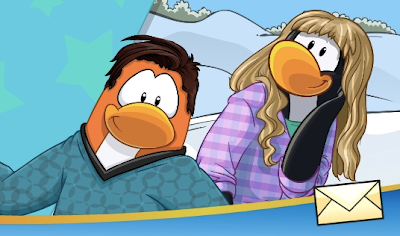 Last Reviewed by You Club Penguin wanted to know your thoughts on the month of August. "I enjoyed the Teen Beach Movie Summer Jam Party the most because of how much it reminded me of the Water Party in 2007. The Water Slides were my favorite, I went down them a few times with penguin friends. Puffle Digging some food for my Puffle saved me lots of coins, plus the food is very different from what you can buy in the Puffle Catalog. This month's clothing were fantastic! Great summer styles to wear when you waddle out to the cove to meet your friends." For this week's Reviewed by You, CP wants to know... for those going back to school, what do you look forward to most and why? Even if you aren't heading back to school this month, they still want your input! They'll pick one comment to feature in next week's Reviewed by You. If your review is featured next week, they'll add 10,000 coins to your account. Don't forget to use your penguin name so they can add the coins!